Take a visual tour of our beautiful city through models showing different views of Lyon. 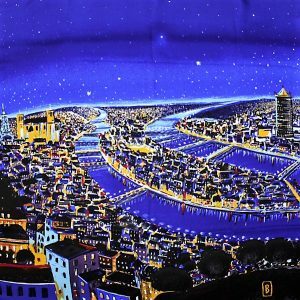 Proudly show off the colours of our city through illustrations of our buildings and neighbourhoods on ours silk shawls, silk scarves, scarves and ties, Made in Lyon. Our accessories are the perfect gift for lovers of silk and Lyon.